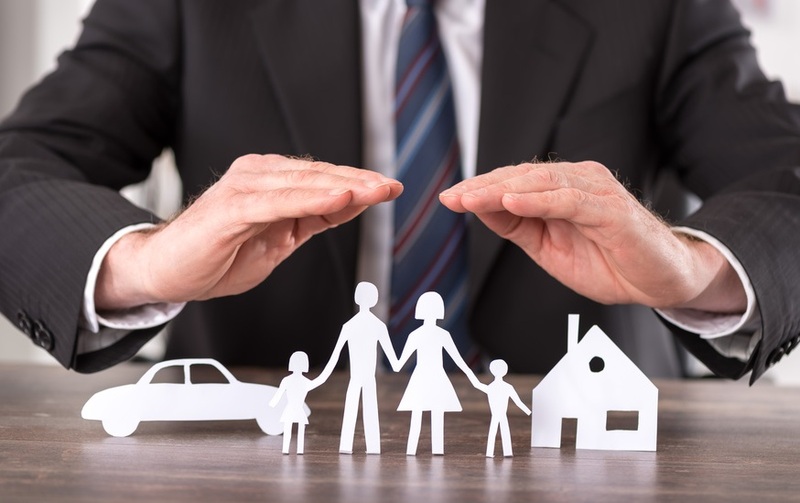 The words Family Protection encompass two different kinds of insurance: Life Insurance and Income Protection should you be unable to work due to illness or accident. In our busy world we have little time to think about death and life insurance. The only exception is when we buy a property and need a mortgage. Then, the bank or building society encourages us strongly to subscribe to a mortgage protection policy. We can easily see the importance of it but more to the point, we do want this mortgage! As far as life insurance is concerned, that is usually as far we are prepared (or coerced!) to go. Until the day when a cute little baby boy or girl comes into our life, depending on us for everything. The thought of the consequences of our premature death on the little one may be immediate, leading to action or they may take hold of us progressively before taking practical action, making that call. But be of good cheer 🙂 – life insurance in the U.K is very good value and not expensive. If John moves abroad, he may continue with his life insurance policy with the same premium. Premium: £55 per month (approx), guaranteed not to increase in the future. By putting the policy into trust, the sum assured on death will not be part of the estate. This legal way, not disputed at all by the tax authorities, has 2 advantages: a- Avoid Inheritance Tax in most cases, b- Avoid waiting months for the Grant of Probate. Good advice from experienced people is vitally important. Moreover, if John is a company director, the premiums could be paid by his Limited Company and they are tax deductible. This advantage will not be considered as a benefit in kind by HMRC (U.K Tax Office) and therefore will attract neither Income Tax nor National Insurance Contributions. Let us continue with the example of John. The facts given in 1, 2, 3, 4 and 5 above remain the same. Tax status of the benefits paid: tax free. Premium: £50 per month (approx. ), guaranteed not to increase in the future. If you would like to receive more information, please do not hesitate to call us on 0044 (0) 203 137 2857 or complete our proposal request form. We build partnerships with reputable insurance companies who are long-established in the expatriate insurance industry. All the international insurance companies we work with have both individual and corporate plans. Find out more about our partners here.